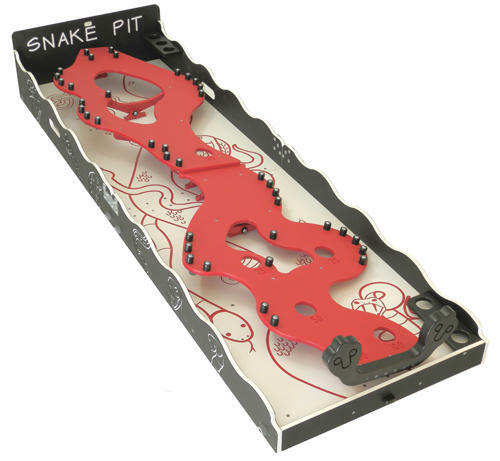 One of our more challenging games, Snake Pit is perfect for older kids as they attempt to roll the ball down the raceway without letting it fall into the snake pit below. 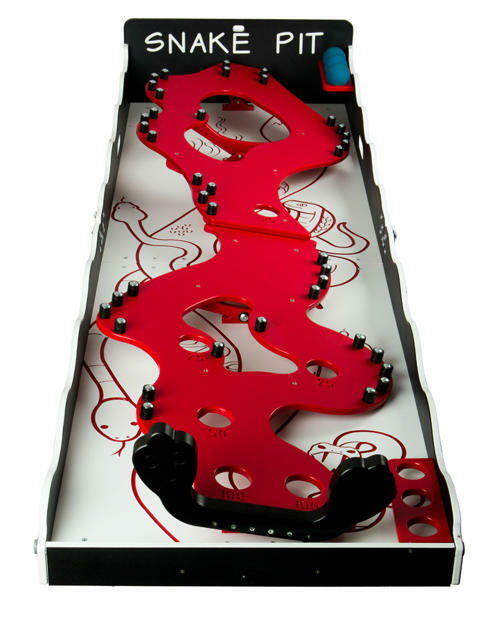 To help the players are the mini bumpers positioned around the track. There are several target holes to land the ball safely in; with your three tries, how many points can you score? Comes with: 3 balls & parts bag Dimensions:Folded - 23 x 35.5 x 10 in. Open - 23 x 70.5 x 10 in. Weight - 50 lbs.